About C.W. Wood Machinery, Inc.
A family owned and operated company, C.W. 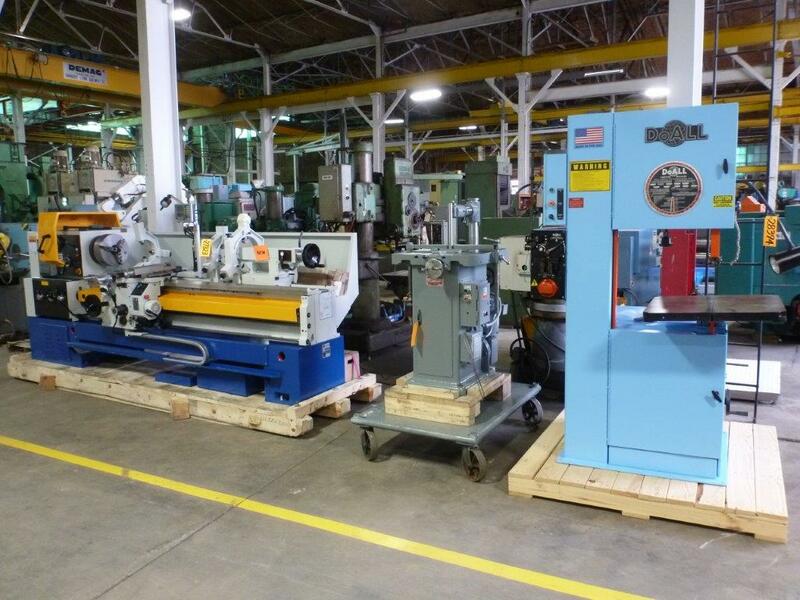 Wood Machinery has been serving the machine tool industry for over 40 years. Our continued success can be attributed first to you our customers along with our dedicated staff that has grown our business and established C.W. Wood Machinery, Inc. as a leader in the metalworking machinery market. With over 90 years experience, our sales staff has the knowledge and dedication to help our customers with all their machinery requirements. Our highly skilled team of service technicians take every measure to make sure your machine is operating properly when you receive it. AMEA Certified Appraisers: C.W. Wood Machinery has AMEA certified staff to help you with machinery appraisals. Machinery Inspected Under Power: We want our customers to be able to thoroughly inspect the machinery so they can be confident they are purchasing equipment that will benefit their operations. 30-Day Return Privilege: The majority of our used inventory is sold with a MDNA 30-Day Return Privilege. Ask our sales team for details for your complete satisfaction and comfort in purchasing the equipment.